We are off to Adelaide this weekend where Peter Templer looks to move to 5-0 on Eternal 32. Jaden Dalymple is set to make his MMA debut and Brandon Cox looks to take his undefeated record to 4-0 and claim the Coastal Combat Amateur Welterweight Title. 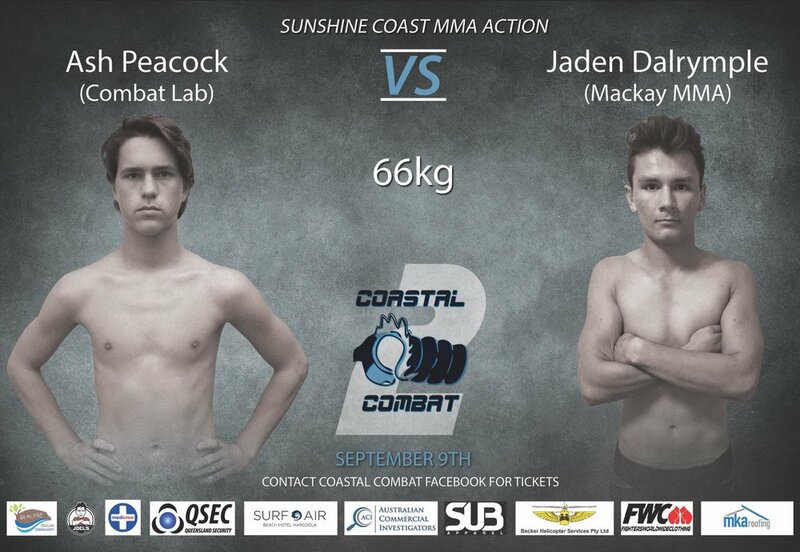 16 year old Jaden Dalrymple will make his MMA debut at CC2 on the Sunshine Coast on the weekend. Jaden is core member of the Mackay MMA team and has been through the tough process of becoming an MMA fighter. Jaden is the next generation of Mackay MMA fighters. He has amazing cardio and has great Striking, BJJ and wrestling. Brandon Cox is looking bring home the Welterweight Belt in the CC2 Co-Main Event. He has finished all of his 3 MMA fights early in the first round via KO. Brandon doesn't matter where the fight goes being well versed on the ground and has power in his hands. For those wanting the watch the fights there will be a live stream. The event is now officially sold out! Mackay MMA is proud to host Nathan 'Carnage' Corbett for a striking seminar on February 18. The seminar is open to all! Mackay MMA re-opens for 2017 tomorrow night. Tomorrow is BJJ night. No better time to start your martial arts journey or road to fitter, healthier lifestyle. Merry Xmas from the whole Mackay MMA Team. Our last formal session for 2016 will be Thursday night. We will be closed til Tuesday 3rd January. See you next year to start smashing our 2017 goals together! Joel Danger wins the Australian WKBF Welterweight Ttle via a devastating KO 38 seconds in the first round. Congratulations on an awesome performance. Joel Danger comes in well under weight at 74kgs ready to fight for the WKBF Australian Amateur Title. Joel is the main event on Sydney promotion Cage MMA Series. Joel Danger steps back into the cage November 18 in Sydney to fight for the Australian Welterweight Amateur WKBF Title.